For some time we have attempted to manually separate snuff reviews from snuff discussions and have a segregated snuff review section here at Snuffhouse. Unfortunately, this became difficult to impossible to manage and as such we have decided to reintegrate all reviews into the "Types of Snuff" category of our site. If you wish to either discuss or review a particular snuff, please seek it there and write what you wish, either informal review or discussion. If you can't find a thread for the particular snuff, you may start a new one. Now the good news: We have decided to make http://www.snuffreviews.com/ the official partner of Snuffhouse.org for formal reviews. Please go there and write your best reviews. To simplify things, you can use the same name that you use here. Im sure I've seen that black image before, was it on the forum in the side bar or something? Edit- its back now, it wasnt there when i posted. Timely reminder - encouraged me to do some new reviews. I no longer sponsor the review site and have asked the owner to take my logo of it. I don't think the owner has updated the site since last year, there is still a message about May 2013... :)] :!! @Abraxas send me a huge jar of that good stuff fo' free. I just bought a 15 gr jar of the premium fine. Bet its going to be delicious. snuffcentral.com and snuffreviews.com are dead links. snuffreviews.net is under construction. Are there any snuff review sites around? I've deleted the link on the left bar. @cstokes4 - He turned out to be a time-waster pure and simple. Lots of grandiose plans - in hindsight I suspect he flits from one dream to another. When he stopped answering my emails I knew the thing would just disappear one day. Bizarrely, sometime before the site went inactive - after I had repeatedly asked him to take the Abraxas banner down - he sent me a long email asking me how I was. It was almost like a form of trolling. It is so frustrating this kind of thing. I know I personally put considerable effort into supporting snuffreviews in its various incarnations. May I humbly suggest that we utilize the review function on mrsnuff? There are already well over 2500 and counting, but there are some snuffs with no reviews at all which is a real shame. We are not going anywhere if we can help it. We even have a section dedicated to youtube reviews. We post whatever anybody submits (to Pat). HERE in case you are wondering. @MrSnuff: When I first started buying from you, I tried to be a good customer and to take the opportunity to refine my reviewing skills by leaving a review of every new snuff I purchased. There were a few things that caused me to lose enthusiasm. I really would have preferred to be able to use a handle, rather than my real name -- preferably "JakartaBoy", considering the links between this site and yours. But it was quite difficult. I basically had to change my registered name to the handle every time I did a review, then change it back to my real name when I made an order. One time I forgot to change it back, and I got a package in Jakarta addressed to "JakartBoy". Ha. The satpam thought it was quite funny. And while there's nothing wrong with a having links between a review site and a site actually selling the product, it should be made generally inviting so that people who, for whatever reason, don't purchase from MrSnuff can still leave reviews. Maybe an opening page that lists all review products and lets you go from one to the other without going back into the shop each time? It would still add a lot of value to your business, but it would probably make people more likely to use it as a general review site as well. While things Jakartaboy say don't really relate to me sense I do not care who knows my name, I think many people would like a feature of a nickname instead of real names. Although if I were worried I would write reviews under my brother in laws name instead. @Igglet, not WORRIED so much, but it would be nice to use the same name I use here. But you never know, I was ranting at some article in the Guardian the other day under a thinly disguised pseudonym, and a colleague came up to me, chuckled, and said "I read the article, that was you, wasn't it?" Made me realize that cyberspace is a not as large and anonymous as we like to think. Not that I'm embarrassed about using snuff, but it's nice to keep the different parts of your life in their separate compartments, sometimes. What's your brother-in-law's name, by the way? @JakartaBoy‌ I take your points. I will see what if anything we can do to modify the way reviews are done and let you know if we succeed. @Abraxas, Nigel, Like so many of us here, I tout your snuff at every opportunity. I don't really like the idea of having reviews merged with an online vendor. It just strikes me that there is too much room for abuse by the vendor, no offense intended to vendors. There is nothing to stop the vendor from only selecting positive reviews in order to boost sales. Why would a vendor ever want to have a negative review on a product they are trying to sell? 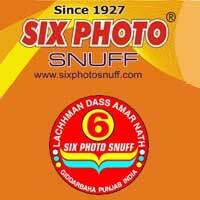 Despite what I just said, I salute Mr Snuff for their reviews and actually having product specifications. I could ramble on, but it wouldn't add to the discussion. @MrSnuff, I was thinking about it, it wouldn't be that hard. You could more or less leave the website as it is, but have a "review index page" with brands, names, alphabetical order. So, one website, but two entry points. For the people who think of MrSnuff mainly as a retailer, they'd go in the same front page as usual. For the people who thought of it more as a review site, they'd go in from the index page. I guess I could register two names, one for purchasing and the other for reviewing, and log in accordingly. But you'd probably need to have two different email addresses (that's okay, I've got lots!). All just about making it easy for people to leave reviews without shopping, if they don't want to. If it became the premier snuff review site, though, you'd probably get a lot of people who began by thinking they just wanted to read the reviews becoming customers when they realized that the product was just a few clicks away. @DilligafB‌ you are right to be skeptical but the ONLY reviews we remove are abusive one liners that are not actually reviews. Any review, and by that I mean a considered opinion, whether positive or negative go live. I have no interest in trying to pretend all snuffs are wonderful since as we can see on this forum opinions are completely varied. The more reviews we have the better. Having just one review of a product is almost as bad as having none. You can only really make a judgement when 4 or more people contribute. Then you can get a balance of sorts. If they are all negative then clearly it is either not good or very much niche. That is good for everybody to know including us. There is no point selling a snuff that nobody likes. It just takes up shelf space and costs us money for no good reason. Given the above philosophy I think the ideal place to have reviews is the same place you buy the product. That way you are not switching back and forth between websites. Whatever the powers that be decide upon, I am very happy that the database of snuffreviews.com will not be lost. Please do all that you can to preserve it for us. It has been a valuable reference for me and I would hate to see it go. Thank you. I hope it all works out soon. I don't have the slightest doubt that if the Mr Snuff site was used as the place for reviews that they would be dealt with with integrity. I do doubt the capacity to manage any great number of them though - it's not what the site is made for. It seems ludicrous to me that the major body of reviews for our hobby should be on a retailers site, period - with no offense to anyone at Mr Snuff intended. If it's a question of moderating a new section then there are any number of members that could do it if the current mods are not available. 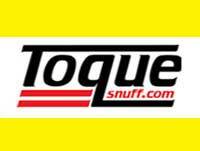 Snuffhouse is now the only major site online devoted to snuff - it always will and always does outlast the others. The reviews should be here. FWIW, a couple of months ago I vacuumed a local copy of the whole (snuffreviews.com) site. For two reasons, really. The site was always down when I personally needed it, and of course more importantly, that the reviews wouldn't be lost. I know that there's always the waybackmachine, but still. @MrSnuff Glad to hear it! I'd be happy to post reviews as I try snuffs but only if I can easily do it under a pseudonym. Even with a fairly common name like mine I am not interested and plastering it across a snuff site, no offense. I look forward to buying more snuff from you! Take a look at Tobacco Reviews. Chuck has done a wonderful job formatting the site, making it comprehensive and user friendly. I'm on there daily. A similar site for snuff would be welcome.